I have now attended seven consecutive Quest conferences, sometimes as a speaker or workshop facilitator, and except for the first time, always as a committee member. This year, after a lengthy period of reflection and introspection, I have not made myself available for re-election. At my personal blog, Queering the Church, I have been preparing a lengthy post on the reasons for this, which essentially involves substantial changes in my personal circumstances and in the external environment, which have led to a shift in priorities. That blog post at QTC will in due course appear under the title “Opening a New Chapter (A Long Read Confessional). This does not mean, in any sense, that I am withdrawing from Quest. I have made it clear to the committee that I want to remain involved and available for specific tasks, as and where appropriate, but with a lower profile: from the sidelines and as a volunteer, no longer from the centre or with the responsibiliies of a formal committee member. During this conference, I’ve had a useful discussion with John Ashman, who in the past has often said that he was worried about me, because (in his view), I was trying to do too much. Now, he told me, I was looking different, as thought I had been through some kind of transformation experience. There is some truth in that. The intensity of my commitment to LGBT faith activism has at times had something of the flavour of an OCD (obsessive compulsive disorder). Ruby has also at times reminded me that there are dangers of burnout in trying to do too much, and that sometimes, “less is more”. There was never a single event that has triggered the supposed “transformation” that Joh has seen, but I could can agree that it has occurred, and can identify two specific experiences that made significant contributions. 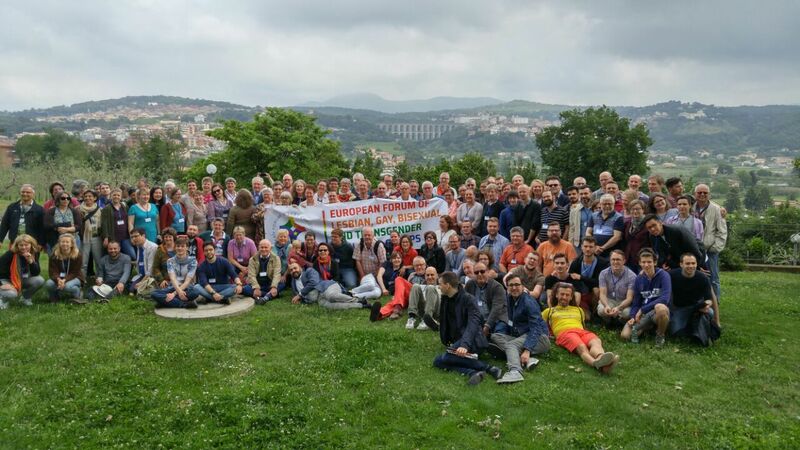 One was attending the annual conference of the European Forum of LGBT Christians in Rome, the second was soon after, participating in the Quest weekend retreat at Mount St Bernard’s Abbey, led by John Ashman himself. In addition, I would add this 2018 conference itself, which has as its theme “A Time to Build”. I had come to conference with a greater sense of clarity about my changing priorities and implications for my continuing role in Quest. After a lengthy private meeting with James Alison, who for years has been a valued friend and supporter of my work at QTC and elsewhere, I came out clearer than ever that my new understanding of the most appropriate role for myself is indeed sound. (For more about this personal reflection, wait for the forthcoming post at Queering the Church). However, the experience of this conference has also brought me greater clarity on the task facing Quest. For some years now, we have been acutely conscious as an organisation of the heavy demands we make on some of our committee members – and the shortage of volunteers willing to take on the necessary tasks. Over the last year or two, we have seen the value of support from a paid part-time administrative assistant. This was funded initially by money received as a grant from a donor agency, but will not be renewed. We are unable to continue paying the same amount indefinitely from our own regular funds, unless our income increases. However, our membership and numbers at conference are gradually declining, and with it our primary source of income. This prompts the question, is it perhaps time to wind up our operations? Quest began largely as a support group for our own members, at a time when it was especially difficult to be both openly gay, and Catholic. External circumstances have clearly changed. Over the years, public acceptance of gay and lesbian people, and the development of substantial legal protection and equality means that young people today find it much easier to be openly gay, even in the church, and feel less need for personal support in an organisation such as Quest. This is part of the reason for our declining membership and attendance at conference: our original members are aging and regrettably but inevitably, are dying off or are less able to attend physically at conference and regional meetings – but we are not attracting new members at the required rate. Perhaps then, it is indeed time to call it quits, and fold up? Well, no. 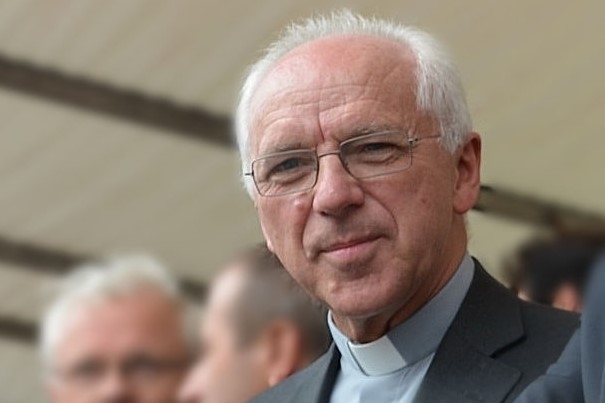 While there has been a substantial improvement in the Church in terms of tone and approach to pastoral care, the fact remains that the language and content of formal Catholic doctrine on the subject remains as harsh and unrealistic as ever. In the secular world, homophobia and especially transphobia remain a serious problem in some circles, including at times direct physical or verbal violence – which the Catechism clearly states we have an obligation to oppose. Our conference theme of building a bridge, as in the title of Fr James Martin’s celebrated book and in his recorded video that opened the conference, remains important. Fr Jim described to us how he is sustained in his ongoing work, by the palpable sense of relief he sees in the people he meets, simply by the fact that the subject is being openly discussed, and the relief that many people experience at finding that yes, it’s OK for themselves or their family members to be both Catholic and openly gay. So, it’s important that we, as church, attempt to build a bridge, a bridge between the institutional church and the LGBT community. As part of the local church, Quest has participated in this bridge-building, and in recent years we have started to see the fruits of this in selected dioceses – as illustrated by the participation in the conference of Bishop Peter Doyle, one of the panelists in the discussion that followed and developed Fr Martin’s opening video presentation. However, our second panelist Dr Clare Watkins pointed out that although the task of building a bridge between the “church” and LGBT Catholics is obviously important, there is a problem with the metaphor. As a theologian and ecclesiologist, she is acutely conscious that the LGBT Catholic community are in fact part of the church itself. Where then, is this supposed “bridge”? Is it not in fact our shared responsibility to be building a bridge from the Church, to the larger world outside, to other LGBT people, and indeed to other marginalised groups? Or is the required bridge between us in the church – and God? Continuing discussion noted how although Fr Martin’s book discusses both the need for the church to display greater “respect, compassion and sensitivity” to LGBT Catholics, and for the LGBT Catholic community to do the same, to the institutional church, in his video he addressed only the former, and left to us to resolve the second. And so the question was then asked, by the panel and from the floor, how best could we as Quest and as Quest members, most effectively play our part in building a bridge to the “church”. A common theme emerging, was that the key lay in the twin principles of honesty about ourselves, and in building relationships (with the bishops, and with our fellow Catholics in the pews). I am left absolutely clear in my own mind that this is an important part of the task now facing Quest. At an important weekend workshop a few years ago, the national committee and representatives and regional representatives developed a strategic plan that identified the need to move beyond being a simple support group for our own members, to moving out into the wider world.. Since then, we as a committee have started to do just that. Ruby as our chair, has been having a series of meetings with a steadily expanding number of bishops. We have also been going into Catholic schools, in partnership with Stonewall or by direct invitation from certain schools, to talk about the challenges facing young LGBT people in the church. 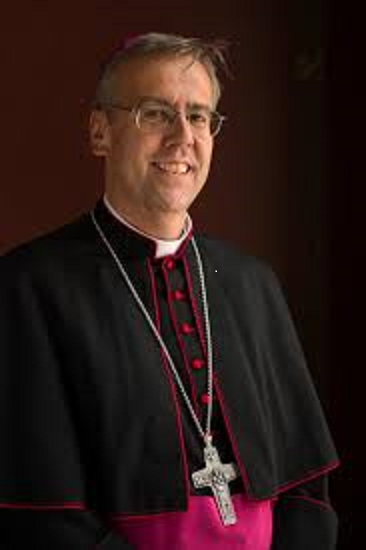 After many years of talking about it and then extensive discussion, we now have a firm commitment to co-host with Bishop Sherrington an important November conference on discernment, accompaniment and conscience, which will take these issues to a wider public audience. We are also collaborating more with other organisations, both locally and internationally (with the Global Network of Rainbow Catholics, where Ruby is co-chair, and with the European Forum). So no, it is emphatically not time to fold up and head gently into the sunset. Rather, the task facing us is to step up and expand our efforts, For example, we have for years been discussing the importance of going into parishes, to share our stories and describe our work. If we were to do this, it would fit directly into the principle of bridge building by honesty and relationships, identified in the panel discussion. Nor is this responsibility simply something that it would be “nice” to do. Alongside his notably improved pastoral tone to LGBT issues, Pope Francis has been stressing something important: the Gospel imperative to evangelise is not just one for our clergy: it’s an obligation that God has placed on us, individually and collectively, as part of that church “of all the people”. Quest is a vehicle for us, as LGBT Catholics, to play our part in that God-given obligation. But we simply cannot sustain and expand our efforts with our current, diminishing membership and limited pool of exhausted committee members and regional coordinators. We simply must expand our resources, possibly by finding entirely new ways of operating. At the time of writing, we have not yet had our AGM. That is due later today, when the entire question of the future of Quest will be raised as a matter for serious discussion. I have some specific ideas of my own, which I will propose. I look forward to that discussion. Evidently, some fundamentalist Christian groups remain obsessed with non-heterosexuality, and put considerable energy into railing against it wherever they can. The cumulative impact of their actions is highly damaging and toxic to the people they reach. A broad ban on conversation therapy – whether relating to sexuality or gender identity – is long overdue.